Don't be too jealous... My own town doesn't have them, but luckily I travel around a little and have found a few places who have new ones. The store closest to my house still has the old series but the Walmart in the next town over has the new ones. I plan to go there next week. My local store has just started to get them in! I got a horned guan today that I will try to take a photo and get it posted an TAI soon. Yes, one more! ... and a unusual turkey like thing. My store finally has them. I only got the woodpecker and the salamander. I have an extra salamander and two extra woodpeckers if anyone wants to trade for some of the other us yowies. Baah! My Walmart still hasn't gotten the new ones in! Maybe I will do a little traveling around to other Walmarts. I'd really like to get that black footed ferret! The blue gallery is almost complete. Look what they did with the crocodile to make it fit inside of a capsule. :afraid: you can open a swap thread to give good use to your spares if you wish or you all will need a good dentist soon. I hope that we, nom Americans will have the chance of getting some of them. I am eager to see the Utah prairie dog. I'm most excited for the ferret and prairie dog, trust me I'm looking everywhere! You are very welcome Andreas. Susanne, you were on my list already to get models to the moment I get some extras for you! Roger I can help you too, all I ask is for patience because I can't go spend 50$ on yowies (though I'd LOVE to ). You guys can email your list of which ones you want or just PM me that you want the series and I will do my best to help if I can given some time! (I'm already helping some people with trades). I just purchased my second and third rounds. 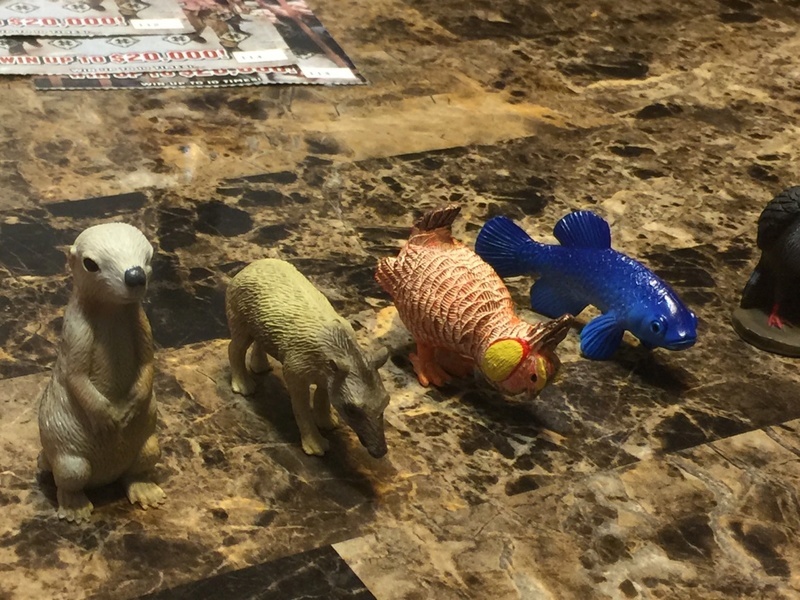 Now I have the jaguar, pupfish, prairie chicken, tapir, prairie dog, and guan to add to the salamander and woodpecker. I have extras of the prairie dog. Great finds! I can't wait to get the tapir and prairie dog! I think the prairie dog is really cute! Love that pup fish. Hope I can track one down eventually. Fantastic and congratulations Quaga! I was sure I'd love to get one of these prairie dogs and now that I know it, I am more sure of it. Thanks for your kind offer Paige, I'll wait that you complete your series and after it I'll check the few ones I want. The rodent is for sure! Susanne, sorry for stealing your dentist joke. Close ups of the Prairie dog and Vaquita are on TAI now. 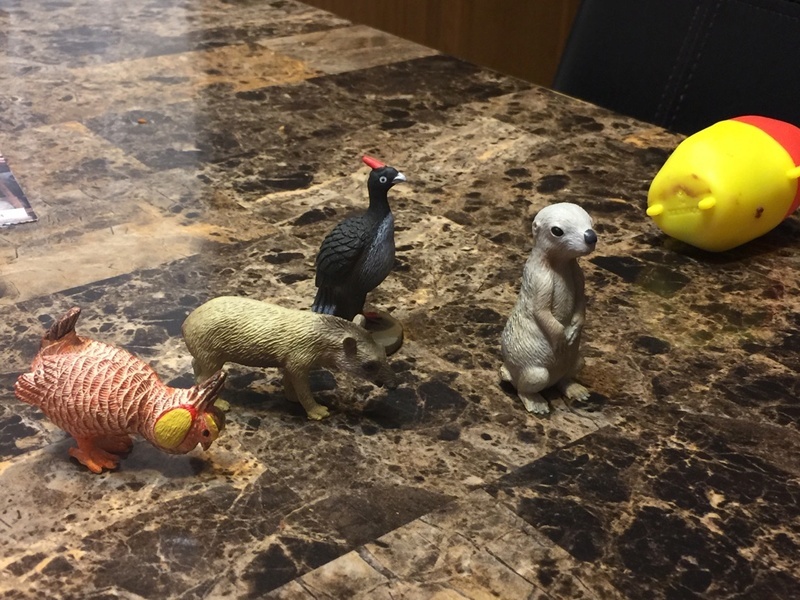 The vaquita is splendid, the prairie dog looks a little funny to me but hey, its still a pretty good model and I have a small prairie dog town growing on my shelf (I have 4 models now). That leaves only the Condor, Ferret, and Tapir for me to get, only one of which we know what it looks like from above. That's all wonderful! I udnerstand that the prairie dog is an abuse of cuteness but this is the expectable design for non Japanese capsule toys. By the way, some Japanese lines also favor this kind of design and I love the Utah prairie dog anyway. While educational companies just call them prairie dogs without any reference to the exact species, this company of chocolates is giving us an exact species. On the other hand, the vaquita is excellent, it surely works nicely with the best Play Visions and I think it is very faithful to the species... a very rare and endangered one! Ohmygoodness, I NEED the vaquita. It is the most endangered cetacean at the moment! The tapir has been added to the TAI gallery for anyone interested. Just the ferret and condor left. Fantastic! Tapir won't be the last! I'll need one of these tapirs to @Gedevan, our silent but very friendly collector of tapirs. That's again a nice figure as we can see here! I think it is quite exciting when something we collect is almost complete! Is your dentist richer now? Or can you buy them! where? You can now see the black footed ferret on TAI as well. I just need a condor now and the series is complete. Luke, these are a US only surprise egg like toy series. So the only way to get them if you don't live in the US is some places like eBay or members here in the forum. So the last one is a condor from California! The black-footed ferret is toyish in terms of proportions but at the same time very attractive. A design that makes me think how figures were designed in the past decade. It is also interesting that the other representative of this species was the almost 20 years old Play Visions figure. And this could be one of those rare times where a Yowie figure is a better version than the Play Visions! At least in terms of paint job! Finally the yowies all American series is complete. You can see them all in TAI. So nice to hear about a new Yowie USA series As you understand, I'd love to have that manatee.. But the tapir looks very tempting as well! Thanks for sharing everything with us, Paige! Just a question, are Yowies only available at Walmart? And what's the difference between the packaging of the old and new series? Walmart does not have exclusive rights, they're just ... more reliable about distributing to smaller stores because they like owning the market. The packaging has stayed the same for the most part. 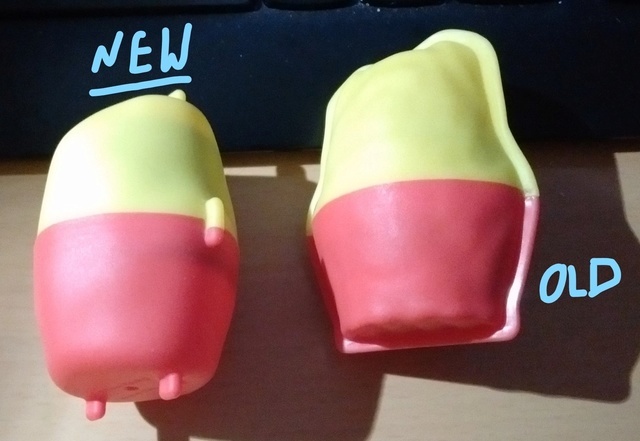 The most noticeable differences are in the new capsule (which some of the old series had - a result of changing manufacturers of the chocolate and a copyright issue), and the new info tag was slightly redesigned. Congratulations Paige for completing this very beautiful collection of small figures of American animals and thanks Laura for providing more information. The gallery page of the collection at Toy Animal Wiki is really great! Okay, see I'm late to the party ... I was just in a 7-11 near my workplace and saw a display of these with "New All-American Collection!" emblazoned on the box. I wasn't able to buy any at this time, but figured folks here would either know about it or want to. I hadn't seen it yet before this store. Does the 'capsules with a Yowie in them tend to be heavier than ones with an animal' rule still hold? I'm kind of dreading finding out what 7-11 is charging for them, but I love that pupfish! And I can try to pick something up for others, maybe trade for that Papo Australian Shepherd I never did get. I've had a hard time guessing based on size because many of them are scaled larger, the new frog for example is roughly the same weight as the characters.